Yet another classic Nike gets corked. The latest Nike Sportswear silo to get the "Cork" treatment is the mid-top version of the Air Force 1. Previewed below, the upcoming release features a full cork upper, with black working the laces and Swoosh branding. Orange is brightly visible on the tongue tag, lining, strap buckle and outsole. Nike has kinda went overkill with this once unique concept, but it still has its fans. Expect a release in the coming weeks. 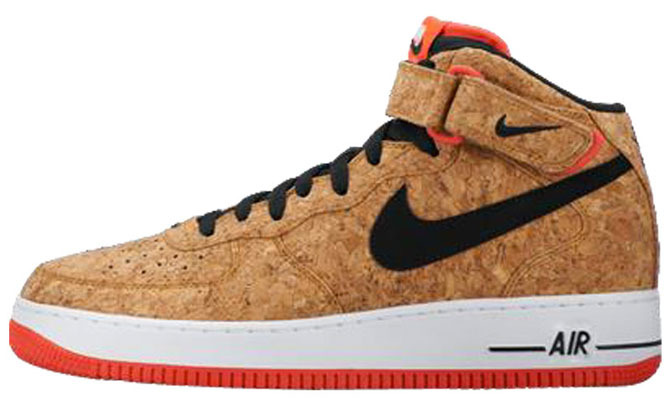 Nike Air Force 1 Mid "Cork"